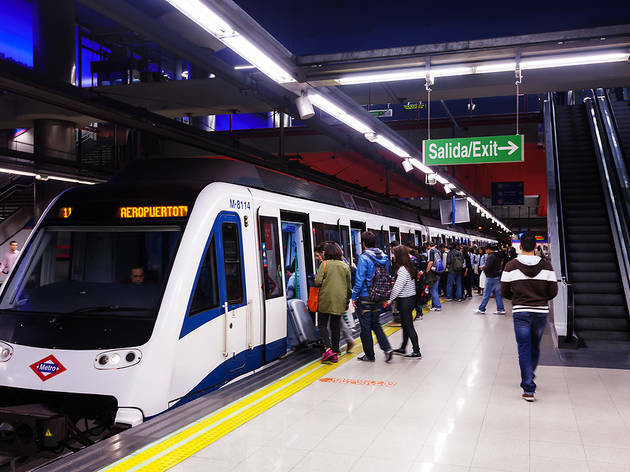 Madrid Transport – Although Madrid is a city with many different areas and sights for tourists to enjoy, it is surprisingly easy for visitors to find their way around the city. From the Metro to the bus, there are plenty of inexpensive ways for tourists to get around the capital. Information on public transport is always readily available, and the services offered are relatively cheap and reliable. If you do decide to use Public Transport, always make sure that you use a reputable company, in order to ensure your safety. You should also be extra vigilant about not getting overcharged, as some people (taxi drivers in particular) take advantage of tourists when they hear a foreign accent. Buses are cheap and convenient, but are not always the most comfortable mode of transport. They can get very hot inside, especially during the warm summer months. Air conditioning can be found on most coaches if you are travelling for long distances, but most commuter buses haven’t got that luxury. The Metro system is quick and easy to use, and the travelling times are short. There are direct routes to most major parts of the city, and any necessary changes are normally hassle-free and quick. The same applies to the national railway service of Madrid.